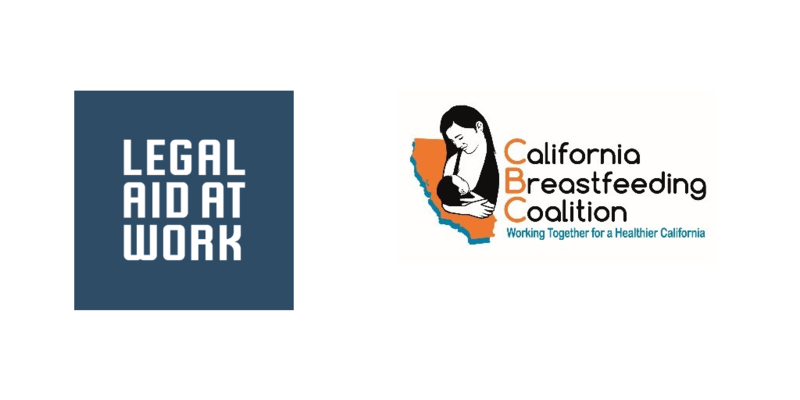 We were deeply disappointed to learn that Governor Brown vetoed our lactation accommodations bill, SB937, that had strong statewide support from various partners and grassroots breastfeeding coalitions who assist parents on a daily basis in overcoming workplace barriers to breastfeeding. SB937 would have made critical improvements in existing law—improvements that unfortunately are not included in the competing bill, AB1976, the Governor actually did sign. SB937 would have set clear minimum standards for employers to follow—basic things like providing access to a chair, a surface to place a pump, electricity, running water, and available refrigeration. Additionally, SB937 would have required that employers create written lactation accommodation policies, ensuring that employers are thoughtful about their approach to this important issue and that when an employee asks for a place to pump and that it is not the first time the employer has considered the issue. Finally, SB937 would have provided critically needed enforcement mechanisms, making sure that our commitment to our parents’ and children’s health was more than mere aspiration. Workplace policies that support breastfeeding parents simply make good sense. They lower employer healthcare costs, reduce employee turnover and absenteeism, improve productivity, and boost employee morale. More importantly, breastfeeding has numerous health benefits for both mother and baby: study after study has proven that breastfed babies are less likely to develop major health conditions like asthma, pneumonia, obesity, and that breastfeeding reduces a woman’s risk of breast and ovarian cancer. We want to thank California State Senator Scott Wiener and Senator Connie Leyva, the California Work and Family Coalition, the Stronger California Network, California WIC Association, the California Legislature, local county breastfeeding coalitions, and the thousands of other women and men who worked so tirelessly to get us this far. While we didn’t make it past the finish line this time around, we are not giving up. The health of our babies is just too important. We will be back in the next legislative session, fighting harder than ever!